By A. H. Sayce. The great library at the ancient city of Nineveh, located on the east bank of the Tigris River at the present-day city of Mosul, Iraq, was only discovered in the nineteenth century—and its cuneiform books only deciphered much later. 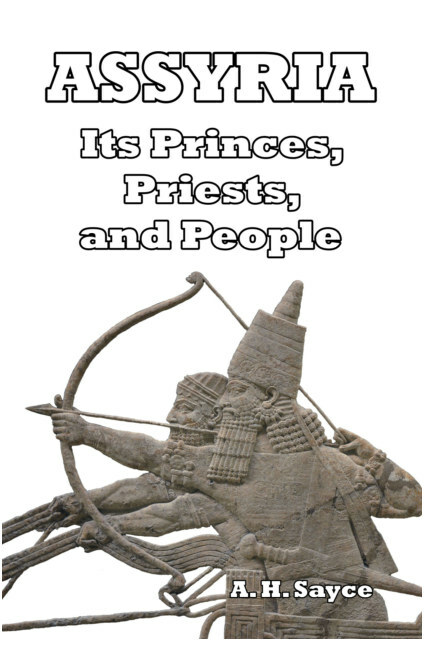 But when they were, they provided a detailed insight into not only the day-to-day life of the ancient Assyrian civilization, but also its thoughts, laws, social structure, and relationship with the outside world. The discovery of this treasure trove—and its translation by the author—provides an unparalleled wealth of information about the ancient world. More than 20,000 tablets or fragments of tablets detail the ancient lore of Mesopotamia, and include Assyrian history, religion, art, literature, science, manners and customs, trade and government. “The ruins of Nineveh yielded not only sculptures and inscriptions carved in stone, but a whole library of books. True, the books are written upon clay, and not on paper, but they are nonetheless real books, dealing with all the subjects of knowledge known at the time they were compiled, and presenting us with a clear and truthful reflection of Assyrian thought and belief. 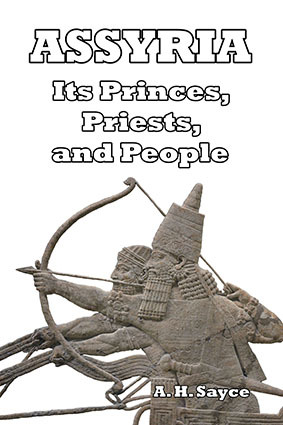 We cannot only trace the architectural plans of the Assyrian palaces, and study the bas-reliefs in which the Assyrians have pictured themselves and the life they led; we can also penetrate to their inmost thoughts and feelings, and read their history as they have told it themselves.”—from the Preface. This edition contains an appendix consisting of translations from Assyrian texts relating to the history of the kingdoms of Israel and Judah, and a comprehensive index. Cover image: A relief of Ashurbanipal from the North Palace of Nineveh. Chronological Table of the Kings of Assyria. About the author: Archibald Henry Sayce (1845–1933) was a Professor of Assyriology at the University of Oxford, who helped decipher many ancient Indo-European and Middle Eastern inscriptions. Most famous for his work in Assyria, his writings, research and translations spanned Greece, Egypt, and Turkey, and he was one of the first to fully translate many ancient Assyrian texts. Hardcover, 112 pages $22.95 Or buy on Amazon here.